Home » How to Choose HR Software Vendor in 2019? » Blog » How to Choose HR Software Vendor in 2019? Selecting a suitable HR software vendor can be a challenging and overwhelming task. While making the right choice of the HR solution, keep functionality, usability, operational effectiveness and return on investment in mind. Besides time and cost saving, ensure that you pick a software that aligns with your objectives and adds significant value to your business. The value added will enhance your company’s journey to growth. As an example, an illustration of configurability can be seen in the image below where all options are being offered to change the process on the fly. Varied functions of HR such as payroll processing, performance appraisal, compensation, leave, benefits, recruitment etc. are all intertwined. Reliable software vendors offer talent management system and HRMS on the same platform through an integrated solution. For instance, when payroll and leave management is integrated, HR can accurately process employee salaries without additional effort to cross check data. To keep pace with your business growth, few software vendors offer integrated solutions where your business applications are integrated with the software along a single database and business process. As, Empxtrack is integrated with ADP and IBM, and through this integration customers can expect more value to their offerings. There has been a dramatic shift in HR’s role from being just an administrator to strategic business partner. HR has become data-driven. Data such as employee historical data, skills and competencies, coaching ideas, development plans, trainings and interview questions need to be provided in HR tools for managers and employees to partner together in development and growth. Companies look for solutions that are custom made to their needs. 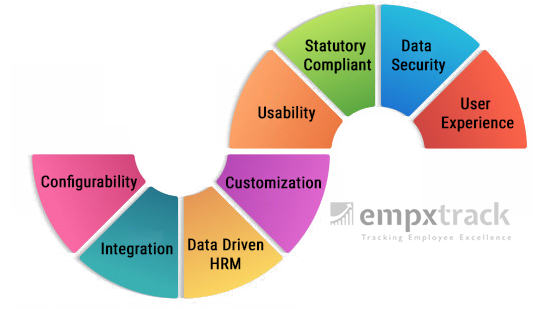 With a customized HR software, each task and workflow are designed in a specific way to map existing requirements. The biggest advantage of owning a personalized HR software is to have capabilities to expand as and when the company needs evolve, without imparting additional training to the workforce. A customizable software is built with a framework to support the sole needs of a specific customer. 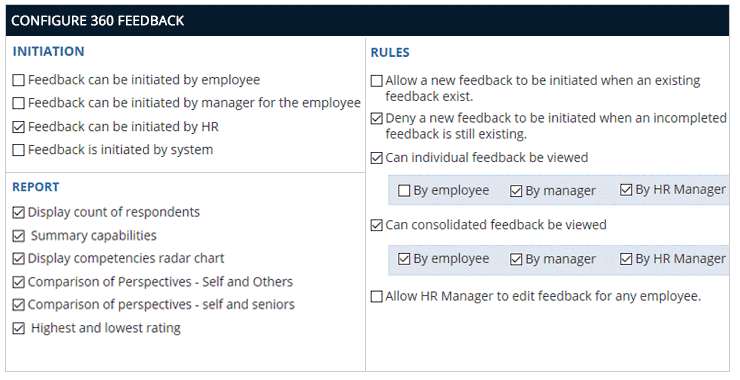 Pick an HR tool that has an intuitive interface and is very simple to use. A software that has an effective, efficient, easy to learn and engaging user interface and helps the users in achieving their specific goals. With ever changing laws and regulations, HR’s role in maintaining regulatory compliance becomes very crucial to avoid risks. A software that can take care of the compliance challenges, will help in making better, faster and well-informed decisions. Having a software with capabilities to take care of taxation rules of the country, leave lapse, carry-forward & encashment at the year end, automatic calculation of monthly salaries is an advantage. The risks associated with theft or unauthorized access to HR and payroll confidential data, is a big area of concern for businesses. Everything from home addresses, tax file numbers, birth dates, employment history, bank account details, medical records, and background check information and more is included in this highly sensitive data. Thus, it becomes vital to ensure that the software vendor maintains high security standards and enforces security measures to prevent your personal data from being accidentally lost, used or accessed in an unauthorized way, altered or disclosed. According to Deloitte research, companies that focus on User Experience are more likely to grow faster. Great user experience along with self-service abilities has become a key buying criterion today. Choose an HR software vendor that offers an interactive, intuitive solution for managing people-related processes, engaging employees and increasing their satisfaction and productivity levels.